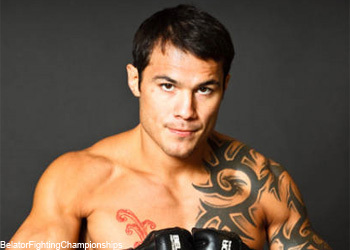 MMA lightweight sensation and part-time bar brawler Roger Huerta has broken his silence in regards to the video footage that hit the Internet yesterday. Huerta was captured coming to the aid of a female partygoer who was dropped by a sucker-punching man outside of an Austin, Texas bar this past Saturday. “I approached the man calmly and said, ‘Do you know what you just did? You just knocked out this girl,'” Huerta told TMZ.com on Thursday afternoon. After the former UFC superstar called the attacker out on his deplorable act, Huerta was greeted with an altercation instead of an apology. Huerta insists that he didn’t throw the first punch, clearly the lowlife did when he floored the unsuspecting female with a cheap shot to end all cheap shots. “If that was my mom, if that was my sister, my spouse, anyone … I would’ve wanted someone to step in and do something about it,” he added. After quickly disposing of his latest victim, Huerta said it was well past his bedtime and he needed to bounce ASAP. That’s why he’s nowhere to be found when the thug emerges unconscious on the concrete. “I got the better of him and I left,” Huerta matter-of-factly stated. (Please click here for a complete recap of Saturday’s brawl).